I am excited for being able to relaunch the blog this week. SETTLING SOUTHERN, the name comes from moving back south and planting roots to stay. I am a midwesterner and now I will be officially a southerner. Settling Southern only seems fit for this next chapter in life. This rebranding will be place where all aspects of my life can live. I will be sharing with you all (y’all) what is taking place at home (such as starting to work on building a house, raising Wesley and all our fun travels). There will be a new section that will be all things that I am craving for fashion. 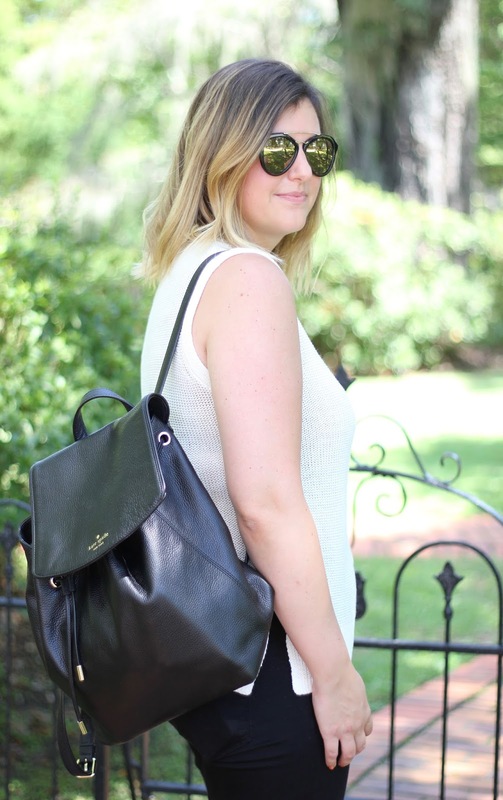 Somewhere that you can stop and find the next perfect bag for fall or the best sales that are going on. Lastly I couldn’t stop doing what I love to do, which is putting outfits together. So I will continue to be doing outfit posts (my style). It also helps to have an excuse to get ready in the morning, otherwise sweatpants here we come. Still trying to figure out this whole “stay at home mom” thing. Now can we please talk about how cute Wesley is in these pictures. I still can’t believe how fast he is growing up. It has been a while since I have shared anything about him, he is now 8 months old. He is getting to the age where he is sitting so well and crawling everywhere. 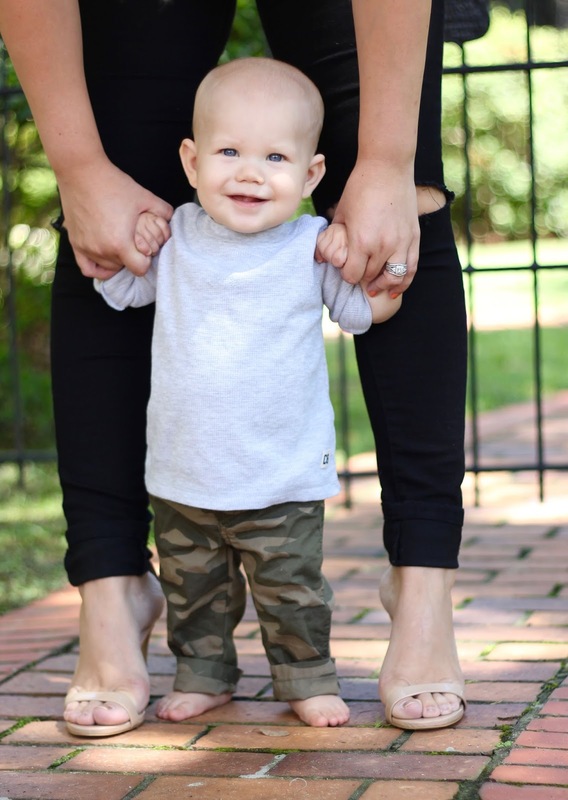 But one of my favorite things at this stage is that he can start to wear separates (like these camo pants), which means his little fashion is starting to be on point. I can’t wait to continue to share his growth, sweet little eyes and his fun outfits. Again i am so excited to be able to share the new site, name and content with all of you. Congrats on the relaunch! You look great, and Wesley is adorable. Thank you, Amy. Congrats on your new little one coming. Soon you will be posting adorable pictures of the two of you. Congrats and good luck on the relaunch! Both you and Wesley look absolutely adorable! Thank you, Tamara! He is the apple of my eye and I just couldn't think about doing a blog without making him a part of it. Congrats on the relaunch! I love these shots- you look super chic, lady, and Wesley is SO stinkin' cute! You two look so, so cute together! I am loving your outfit and your son is seriously the cutest!